Work on The Dark Crystal began in earnest in early 1978, and there was great interest in seeing how the creatures that were developing would work on film. Jim shot the first test footage near his home in Bedford, NY in the fall of that year and tried another filmed test the following April. By the end of 1979, many of the character groups had been built in some form, and Jim used his hiatus from The Muppet Show to do more tests. 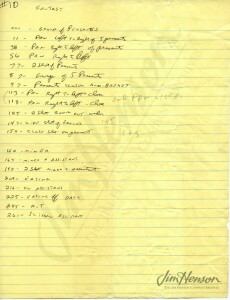 The December ones described in his journal focused on a miner character and his assistant who eventually got cut from the film and on the Pod characters, described at that point simply as peasants. In January, Jim met cinematographer Ossie Morris and immediately signed him on to work on both The Dark Crystal and The Great Muppet Caper. From that point forward, Morris helped organize the tests so that they could, according to a meeting memo, not only test the characters, but also test various types of equipment to understand which would be right for the film. See some early test footage from The Dark Crystal. 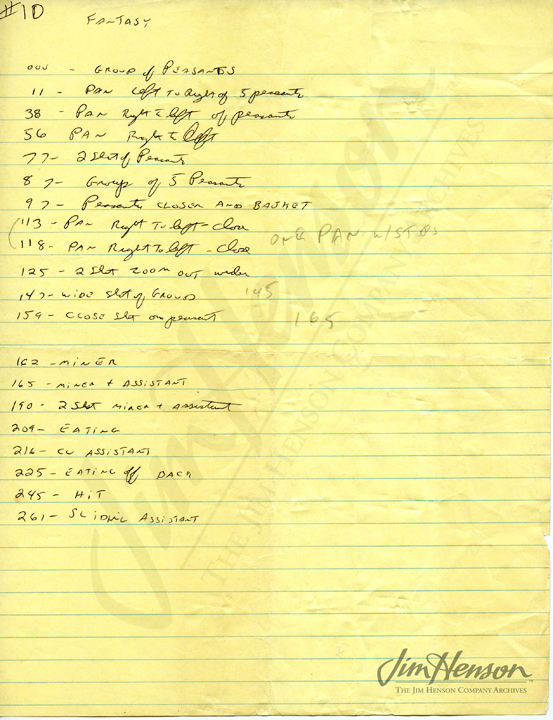 Log of Dark Crystal test, December 17-19, 1979. 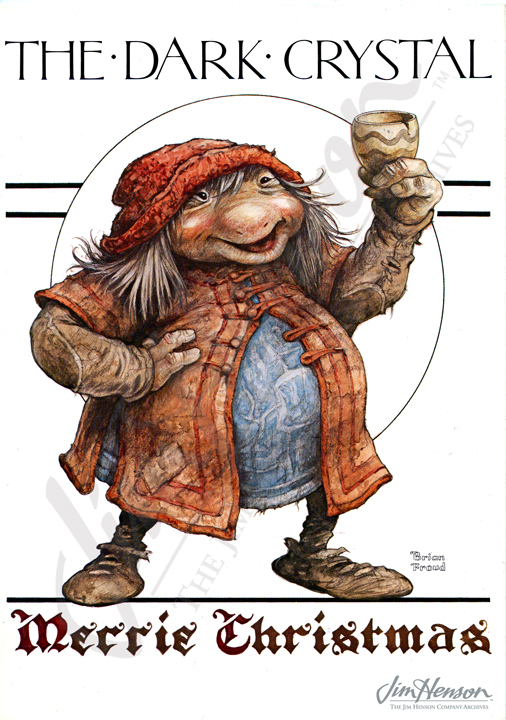 The Henson Company’s 1982 holiday card featuring Brian Froud’s drawing of a Pod person. This entry was posted in 12-December '79, 1979, Dark Crystal and tagged Ossie Morris, The Muppet Show. Bookmark the permalink.